Are you unsure what cat treats you can safely feed to your feline? 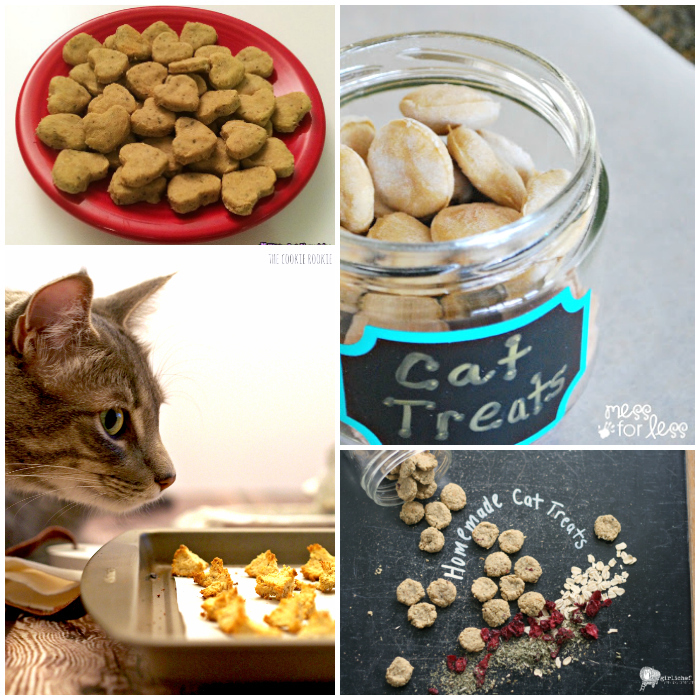 If you’re looking for some ideas, you’ll love these homemade cat treats! Every now and then you’ll see those dreaded recall announcements about pet foods, snacks, and toys. The anxiety is real when you review all the specific products listed in the recall. How about some peace of mind with homemade cat treats that your fabulous feline will love? When it’s hot outside, these frozen treats will get kitty going throughout the day! Did you know that you could use a bottle cap to shape out your kitty’s treats? Check it with this recipe! These kitty treats will have your feline friend wanting more: it’s got tuna and catnip in it! Double score! Undrained tuna and cornmeal make up the bulk of these homemade treats – and Garfield will want to gobble all of them up! Another recipe involving tuna. One thing’s for sure: tuna is a sure winner for any kitty cat! Here’s a treat that will get them to purr: catnip, tuna and a generous serving of oat flour. Check out the recipe here. What cat wouldn’t want to take a big bite out of these Tuna Crunchers? Even more homemade cat treats! Do you ever spoil your pets on Valentine’s Day? You definitely can show your kitty some true love with these homemade V-Day treats! Totally loving the fact that this recipe consists of chicken and dried cranberries: even our kitties deserve a meal fit for a king! Joy the Baker is best known for her original recipes – did you know she’s got a few cat treats up her sleeve as well? If your cat’s palette needs a change, how about some salmon-infused treats? Coconut flour gives this cat treat its unique, crouton-like shape. 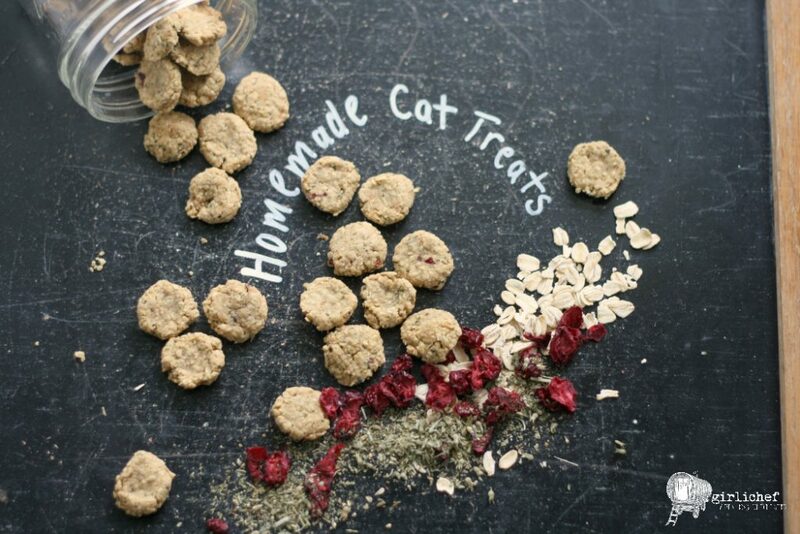 Want to start giving your feline friend some delicious homemade treats? You can even give them out in one of these cat treat dispenser toys! Treating your cat with something good and homemade is always a great idea! 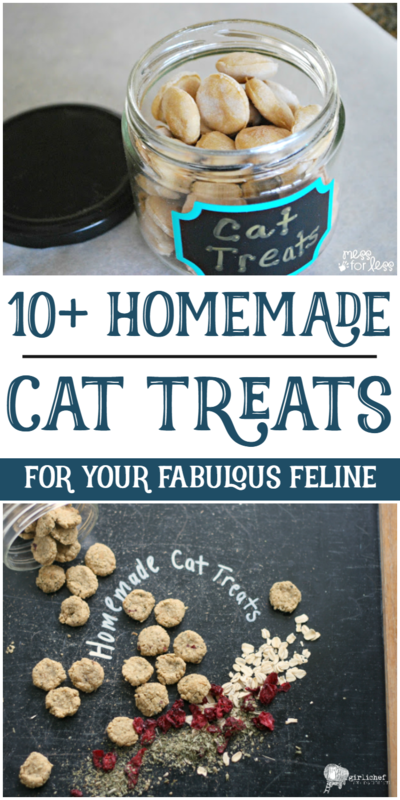 Have you ever made your own homemade cat treat? Yum yum yum! We’ll have to try out some of these other treat recipes. They sound delicious! Thank you! No problem at all. We are slowly building our site and plan to launch shortly, but thank you so much for stopping by.